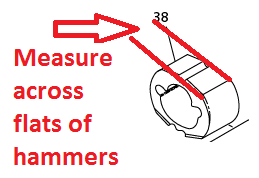 How do I identify a hammer part number if I do not know the tool model, but I have the hammer(s)? 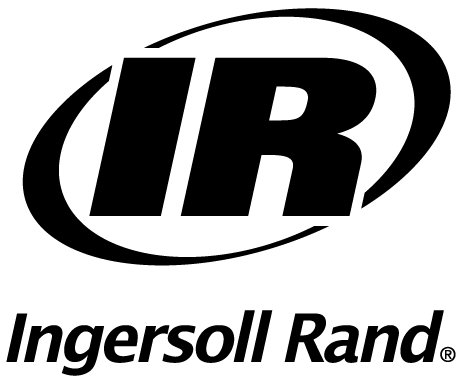 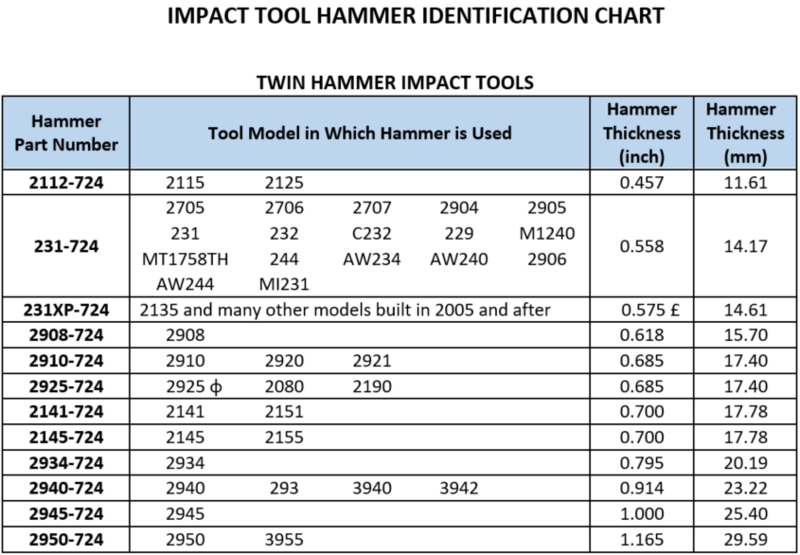 This article is being provided for Service Technicians and Technical Support personnel who are trying to identify a specific Impact Tool model and Hammer Part Number by the thickness of the Hammer when the model number is not readable on the outside of the tool. 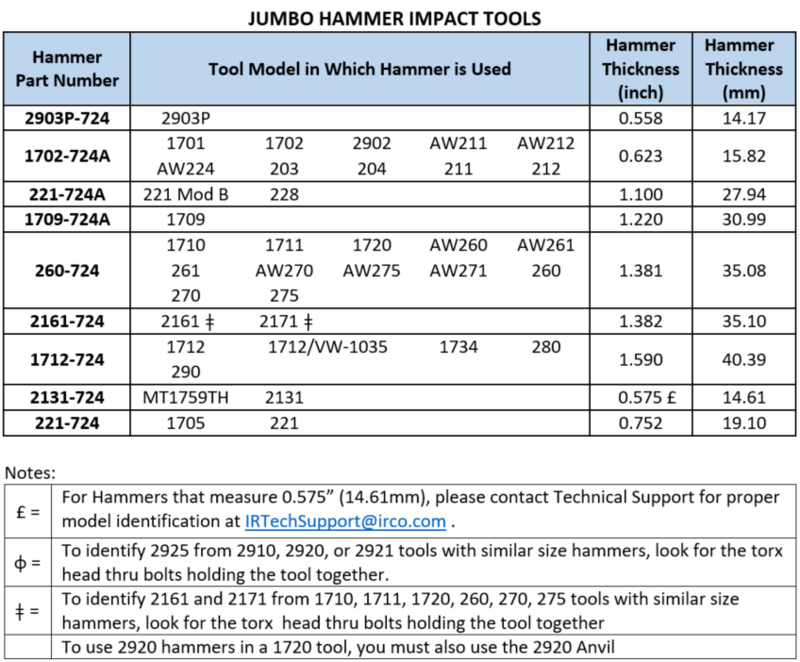 The following table provides a list of Hammer Part Numbers and the associated Impact Tool Model Numbers in which each Hammer is used and the corresponding thickness of the Hammer.